Guadalupe Ryder, 67, of Marion, Indiana, passed away at 1:16 p.m. on Sunday, April 8, 2018 at Lutheran Hospital in Fort Wayne. 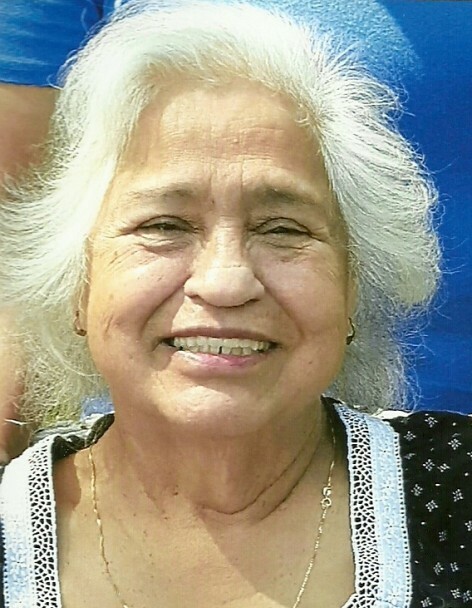 She was born on May 27, 1950 in Edinburg, Texas to the late Justo Rodriguez and Edubijes (Castro) Carrillo. Guadalupe married Timothy Ryder on June 16, 1982; he survives. She retired from Cornerstone in Marion, Indiana. She also worked at Marion High School Cafeteria, Majestic in Huntington, Indiana and Foster Forbes in Marion. Along with her husband, she is survived by one son, Christopher Ryder; eight sisters, Nasaria Weaver, Wabash; Eduvina (Michael) Keen, Wabash; Marina (Matt) Daniels, Wabash; Olga (Roy) Galvan, Gas City; Elva (Elix) Brewer, Melissa Texas; Rosa Palmer, Omaha, Nebraska; Raquel (Chris) Goff, LaFontaine; four brothers, Alfonso (Paula Morgan) Rodriguez, Noblesville, Indiana; Enrique (Kelly) Leal, Jr, Ninevah, Indiana; Rosendo (Rachel) Mireles, Jr., Omaha, Nebraska; and Fortunato (Michelle) Carrillo, Jr., Wabash and one grandchild, Madison Ryder. Funeral services will be Thursday, April 12, 2018 at 2:30 p.m. at McDonald Funeral Home, LaFontaine Chapel, 104 South Main Street, LaFontaine, Indiana 46940 with Pastor Tim Prater officiating. Burial will follow immediately at the LaFontaine IOOF Cemetery. Friends may call one hour prior to services at the funeral home.